Need help regarding a tech problem? 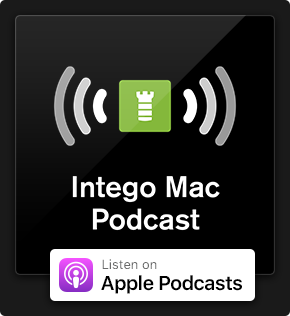 Want to show off something cool on your Mac? Try sharing a screenshot. The only snag is if you don’t know how. 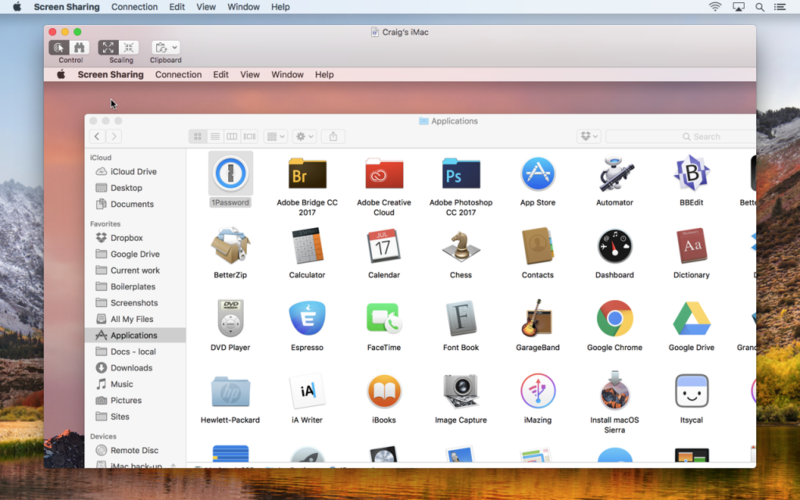 But have no fear, because this guide will turn you into a Mac screenshots guru in no time! 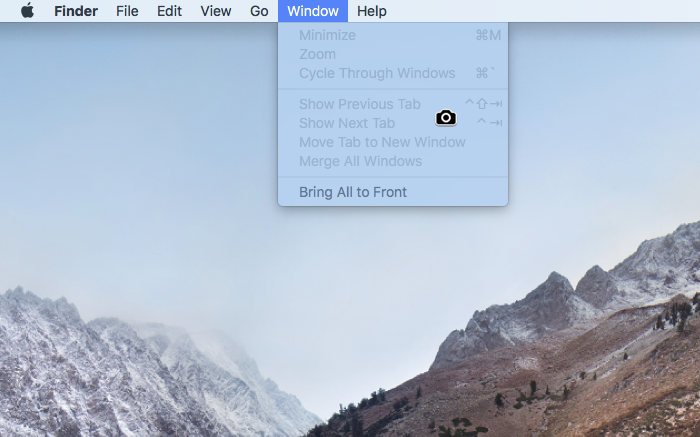 On the Mac, Command+Shift+3 shoots a screenshot. On pressing those keys, you’ll hear a camera shutter noise, and the screenshot will be saved to your Desktop as a PNG. The document’s filename will include the date and time the screenshot was taken. Video content protected with HDCP (High-bandwidth Digital Content Protection) will be blacked out, but otherwise your image will show everything that was on your screen when you took the screenshot. Got a MacBook Pro with a Touch Bar? You can take a shot of that strip with Command+Shift+6. 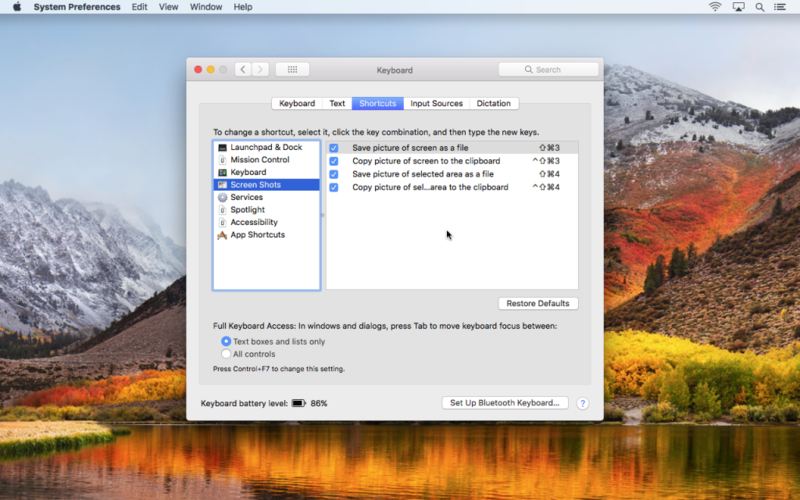 Note: available screenshot shortcuts can be adjusted in System Preferences. In the Keyboard pane, go to the Shortcuts tab and select Screen Shots from the sidebar. You can also change the standard save location from your Desktop to somewhere else. 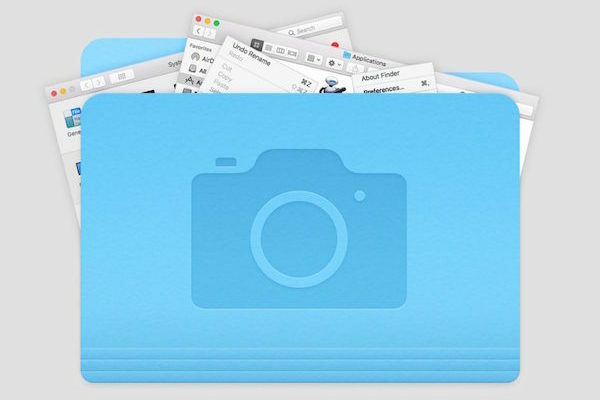 This can be an existing folder (such as Pictures) or a new one you create yourself in Finder. 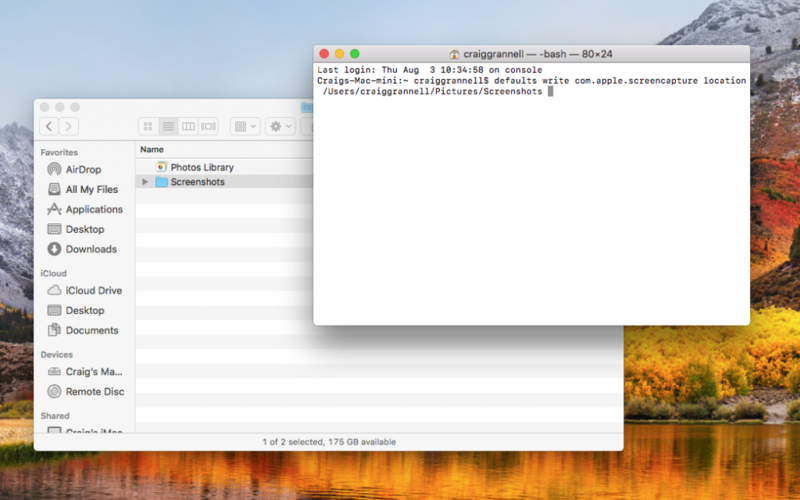 Drag from Finder to the Terminal window the folder where you want screenshots to be saved. Press Return, type the following command, and press Return a second time, and everything should be working. To revert, run the commands from this section again, but use ~/Desktop as the save location. To shoot an arbitrary portion of the screen, again use Command+Shift+4, but don’t press Space. Crosshairs will appear, showing your horizontal and vertical cursor location in pixels. Drag the area you’d like to capture, whereupon the pixel readout will display the size of your selection. Release the trackpad/mouse button and the screenshot will be taken. Alternatively, while the button is held down, you can: hold Space to drag the selection; hold Shift to restrict selection resizing to the horizontal or vertical axis, depending on in which direction you next move the cursor; hold Option to resize the selection from its center point. In all cases, Escape cancels the action, without a screenshot being taken. 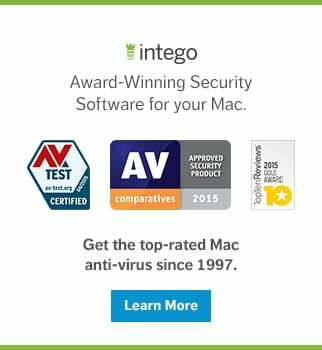 Note: none of the above options can shoot a lengthy web page that spans several screens. Use the Awesome Screenshot extension in Safari for that. Occasionally, the process of taking a screenshot changes what you see on the screen. When that occurs, try the Grab app. In its preferences (Grab > Preferences), choose whether you’d like a cursor displayed. (One isn’t usually shown in screenshots.) Then go to Capture > Timed Screen. In the window that appears, click Start Timer. You’ll have ten seconds to get everything ready. Once the screenshot is taken, it will open in the Grab app, but won’t be saved – you need to use File > Save to do that. Also note Grab’s default file format is TIFF rather than PNG. This can be changed in the save dialog. 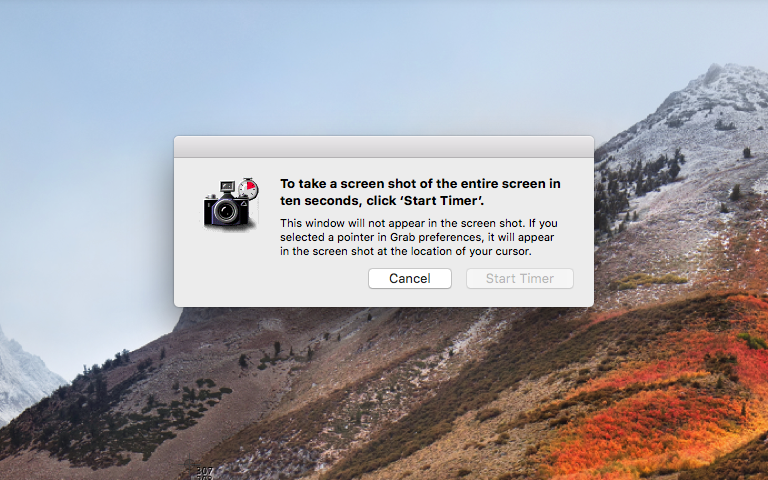 If you’ve got multiple Macs, you can take screenshots via Screen Sharing, which is handy for being able to focus purely on what you’re shooting on one Mac, while doing the actual shooting and saving on another. You activate Screen Sharing on a Mac by checking the Screen Sharing box in the Sharing System Preferences pane. In Finder’s sidebar on your other Mac, select the shared computer, click Share Screen, and type in the username and password you use to access that Mac. The Screen Sharing app will launch, and the shared Mac’s desktop will appear inside a window. Screenshots can be saved at any point using Connection > Save Screen Capture As… (to which you can assign a shortcut in the Keyboard pane of System Preferences, if you wish). If you take screenshots this way, be mindful of two things. First, ramp up quality settings (View > Full Quality), or your screenshots will look like compressed JPEGs. Secondly, if the shared computer’s display is bigger than the one you’re sharing it with, turn off scaling in the View menu, or screenshots taken won’t be at native resolution – instead, they’ll be scaled to the size they’re displayed within the Screen Sharing app. This entry was posted in How To and tagged macOS, Screenshots. Bookmark the permalink. The spacebar behavior is reversed on High Sierra – if I do shift+cmd+4 it tries to always take a screenshot of the entire application window – to choose the area of the screenshot manually I must press space.